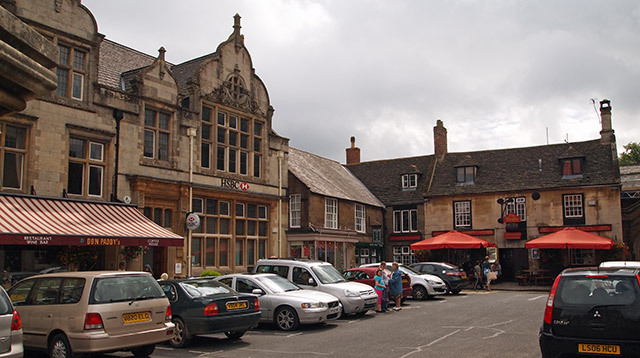 An appealing little market town that stands on a hill surrounded by farmland, located in the small county of Rutland. It has an interesting mix of mellow stone buildings, dating back to 16th, 17th and 18th centuries, know locally as Stamford in miniature. Town was once known for the manufacture of 'Uppingham Trenchers' a form of circular wooden bowl or platter. The social and commercial centre of the town is its marketplace, which received a charter from Edward I in 1281. Dating back to a time when the local farmers sold their livestock here. A popular traders market still meets here every Friday. The drinking fountain in the market square was erected to commemorate Queen Victoria's Golden Jubilee in 1887. Around the square can be found a number of delightful old fashioned bow-fronted shops, selling a range of craft goods, gifts, antiques, secondhand books, old fashioned sweets, hardware, clothes and jewellery. There is also a traditional baker and butchers, several charming old hotels and inns, plus a good selection of restaurants, wine bars and tea rooms. The Falcon is a particularly well known 16th-c coaching inn on the square, where stagecoaches would have once rested on their journey to London. The main or arched doorway of the hotel was originally the coaching entrance. The main road through the town was originally named Horn Lane as the coaches would often sound their horns as they came up the hill. 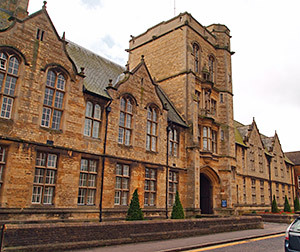 Uppingham is best known for its public school, which has several fine buildings occupying the south-west quarter of the town. Many of its courtyards and quadrangles date back to the 16th-c. The school theatre and Chapel provides Music and Drama performances. Some its many famous pupils include Rick Stein, John Suchet, Stephen Fry and Rowan Atkinson. The school is not open to the public but you can take a pre-booked tour during the school holidays (June to September). There are many enjoyable walks in and around the town. In particular, the Uppingham Heritage Trail is a self guided route with information boards located at several interesting sites around the town, illuminating Uppingham's history, ancient customs and traditions. You can pick up a copy of the trial from various shops in the town or download a one from the Love Uppingham website. The ancient parish church of St Peter and St Paul was built in the 14th-c but has some fine 12th-c carved figures located either side of the North door - one of Christ and one of an unnamed saint. It is also noted for its lovely stained glass windows. 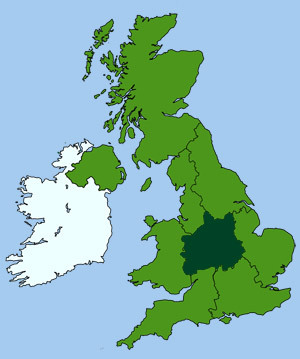 Just 3 miles to the northeast of Uppingham is the tiny village of Wing. It has a surviving ancient turf maze, some 40 ft in diameter. This is believed to be a penance maze, similar to many found in France.